An illustrious name in the tour travel industry, we are Orient Connections. 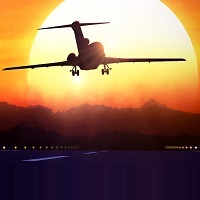 Executing from Panaji, Goa, we offer excellent Airline Ticketing Services for all over the world. Our team of experienced and dedicated professionals understands the distressing task of booking airline tickets for the defined time and budget and constantly strives to reduce your stress. Contact us to book for you the desired number of tickets and seats within your stipulated dates and budget. We also claim proficiency in making urgent bookings, according to your needs. Contact us to know more today!